If you are looking for a pretty dress for Valentine’s Day, I’ve done some online searching on your behalf. As I did so, I was reminded of Iris Apfel’s exasperation about shopping as a-woman-of-a-certain-age. The whole fashion business is wacky because this age group of women between 65 and 80 control so much money, they have all this expendable income. You go shopping and there is nothing to buy. You’re not supposed to buy widow’s weeds when you get older and you don’t want to look like a silly young chippy. It’s difficult. I kept encountering one of her main complaints—a lack of sleeves. I used to say, if I had the time I would open a shop on Madison Avenue called Sleeves. Indeed. It’s February. It’s winter. Why are most of the dresses sleeveless? However, I persevered and found a very pretty dress for you. 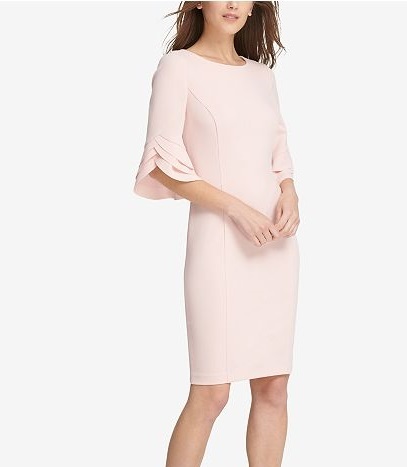 It’s the Triple Ruffle-Sleeve Dress by DKNY (Donna Karan New York). It not only has sleeves, the sleeves are the focal design element. This is the kind of versatile dress that you could wear for many occasions, in all seasons. Perfect for a summer wedding, or dinner out. The dress is beautiful, flattering for many figure types, affordable, and gets fantastic reviews. Available in a the palest pink shade called Powder, a hue suited for celebrating the upcoming day-of-wine-and-roses on February 14, or if that colour is not for you, it also comes in a stellar Blue Slate. I have two DKNY dresses and really love them. In my experience, this is an excellent quality brand so I have no hesitation in recommending this dress. Make some memories this Valentine’s Day, but do it in a dress. We always talk about this phenomenon. Sleeves? Why are sleeves so hard to find in the winter?? I know the sales associates just say add a cardigan, but I like sleeves on my dresses!! I know exactly what you mean! It’s so hard to find dresses with sleeves, and like you said, it’s winter and freezing cold!! However, your perseverance paid off as this is truly a beautiful dress and would also be lovely for a Spring/Summer wedding or garden party. Oh that is a beautiful, effortlessly and classic dress. I would totally wear that. Love it! Iris is ICONIC. Well, equally as iconic as your dress choice – that colour is stunning! I think it would suit a lot of body types too, as you said, and the sleeve situation is perfect for me – I’m not really a fan of short sleeves, especially not in FEB. That’s practically inviting the goosebumps to adorn my arms and I’m not here for it! Wonderful post! Oh, your blog is marvelous. 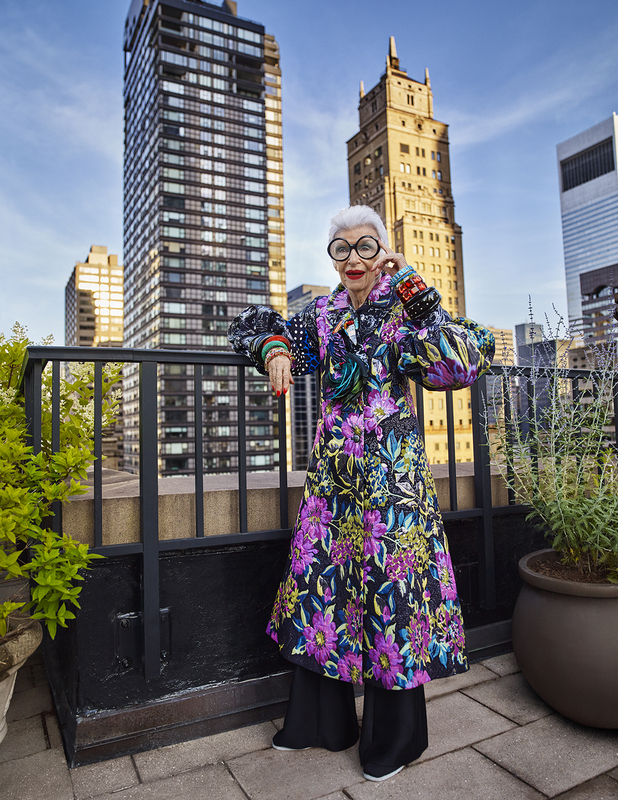 Love your fun attitude toward fashion and aging. You’re truly and inspiration and a fun read too!! I agree: Where have all the sleeves gone? Or, better, why were they never in the picture? I love sleeves on tops and dresses too! Hope you’re having a great Monday, so far! !